Energy saving window film goes onto your windows and blocks out 65 percent of incoming heat and insulates in winter whilst filtering out 97 percent of Ultra Violet rays. Suddenly rooms are comfortable year round, there are health benefits from less UV, and furniture and fabrics are protected from direct light, your previous solar control efforts like blinds, curtains during the day and hanging drapes outside are no longer necessary. Stopping heat from entering or leaving your windows also helps global climate control, will reduce carbon emissions and lower your energy costs. To turn your regular windows into energy efficient windows, just take these 24 x 48 inch 60 x 122 cm Energy saving window film rolls and cut to fit. We supply a squeegee, you supply some water and a little detergent, then smooth the films over your windows, without adhesive, using the free squeegee we include. This is not window tinting, the sheets are transparent, so much so that joins are not noticeable. Calculate how many you need and order. The energy saving window film will make you more comfortable through heat control and insulation as well as saving money and paying for itself. So how many do you need? 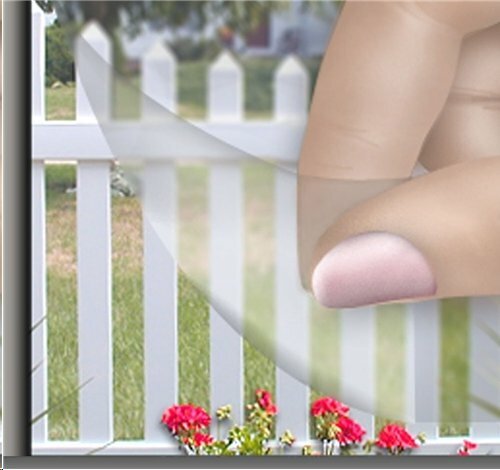 Energy Saving Window Film text, images and video are copyright.